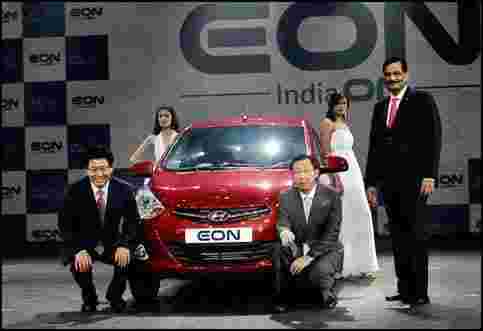 Gurgaon: Hyundai Motor India Ltd may stem falling market share with new entry level small car Eonbut its attempt to weaken MarutiSuzuki India Ltd’s grip on the segment has fallen short on the pricing front, according to dealers and experts. “Price positioning is a let down. 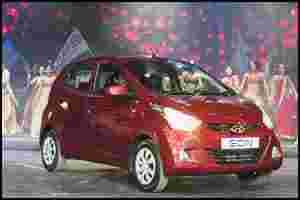 We expected it be cheaper by at least ₹ 20,000," said a dealer on condition of anonymity at the car’s launch on Thursday. “The car looks good in terms of design and quality, but it will be difficult to pitch the car at this price against the competition." Hyundai expects to sell 140,000-150,000 units of the Eon a year, helping increase its market share in the world’s second fastest growing car market. Maruti’s rival Alto, of which 25,000 are sold a month, starts at ₹ 2.35 lakh and the top-end version of the car with air-conditioning, heater and power steering is priced at ₹ 2.84 lakh (ex-showroom, Delhi). Compacts and mini-cars accounted for at least 75% of the car market in India. While Maruti Suzuki’s market share has dropped to 39% this fiscal, Hyundai accounted for 15.2% of the total cars sold in the first six months of this fiscal compared with 19% last year. “I don’t think people will opt for Dlite and Era at that price point with limited features," said Mahantesh Sabarad, an analyst with Fortune Equity Brokers India Pvt. Ltd. “I think the effective pricing starts with Magna (priced at ₹ 3.36 lakh). We will have to wait and watch the performance of these variants." A company official said it didn’t intend to compete on price. “We are not fighting on the price front," said Arvind Saxena, director, marketing and sales, Hyundai Motor India. “The idea is to offer a good value proposition car in the segment that has some boxy looking cars. We aim to reach younger customers and those who are planning to make their first purchase."